History Books are available for sale at the club office & payment through the bar. 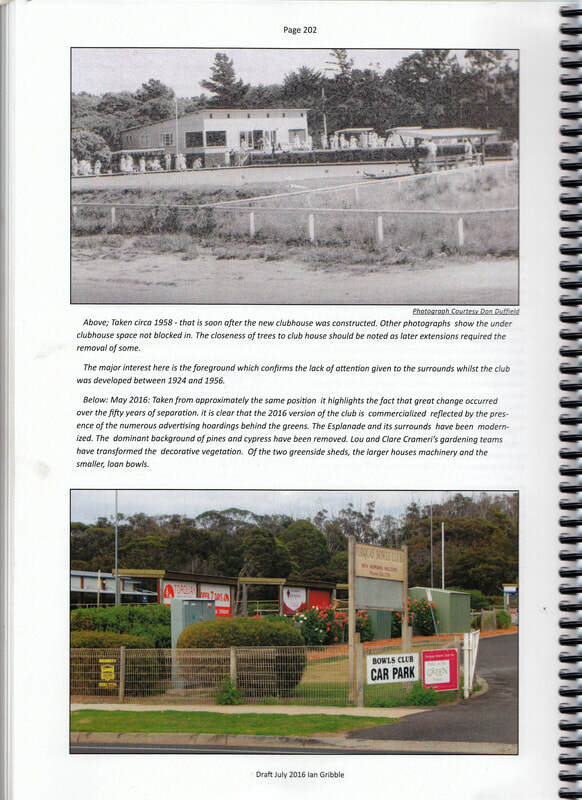 A comprehensive history of the Torquay Bowls Club has been compiled with thanks mainly to Ian Gribble's tireless efforts. The book is currently in print and will be launched at the Official Season Opening Night on Friday 1st September by Andrew Katos, Member for South Barwon. The 260 page book will be printed in colour and will sell for $15 to affiliated members and $25 to others, thanks to a generous grant from the Joe White foundation which allows for the subsidised cost. (The reason for the grant is explained in the book!). The first 90 years of the club's development is described in decades, each of which has its own character. It is linked to changes in Torquay and society in general over this period. The history offers three treatments of TBC's evolvement: a list of major events; a blow by blow description of what happened and an examination of the major trends within the club unearthed during research. One interesting discovery is the possibility that the club was established not for locals by locals, but for visitors by visitors. Another is that it may have not reached its current status without the support of the malting industry. 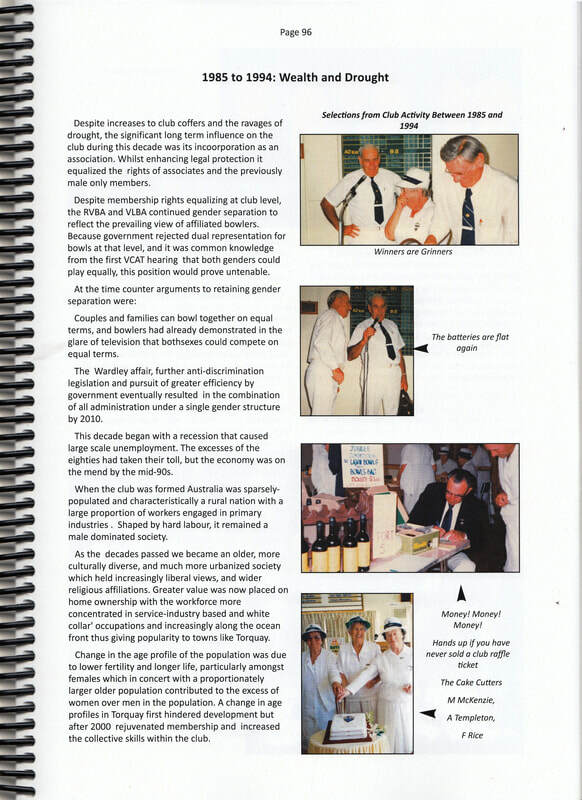 The narrative is liberally sprinkled with photographs of and references to past and present members.